I’m an average female who took 30 pounds off my 5’2″ frame back in 2001. 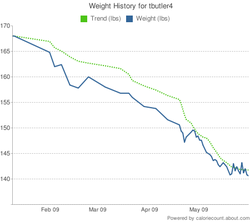 I’ve been maintaining my ideal weight via low-carb ever since. I used to be a size 12 … again, at 5’2″, mind you. Never was I able to lose weight by restricting calories and/or fat – even with regular cardio, which I have done consistently since the age of 10. In my overweight days, I attempted a multitude of programs – e.g., SlimFast, the Blood Type Diet (which recommended vegetarian, high-carbohydrate eating for my blood type A), even the vague “everything in moderation”/portion-control method just to name a few. Nothing ever took an ounce or an inch off. In fact, I was almost envious of the yo-yo dieters … because at least they had a taste of weight loss success to begin with. Up until 2001, with all the drive and ambition I possess in all areas of life and my health being no exception, I still hadn’t found what worked for me. 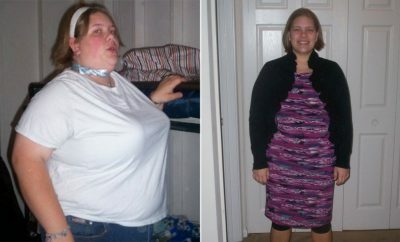 I felt that I was doomed to carry around extra weight forever: maybe I was just meant to be fat. Chances are you’re reading this and can relate to the bitter frustration of being driven and dedicated, yet having nothing at all to show for the fitness aspect of one’s stringent efforts. I’ve been there. I get it. Since I’d discovered through the years that the pasta I loved so much rather bloated me, it occurred to me to start eliminating it, along with bread with dinner, crackers, and to eat mostly vegetables with the same amount of meat I had always consumed. By the very next morning, I immediately felt better and more energetic. I picked up Dr. Atkins’ New Diet Revolution, read it from cover to cover, and started that very night. It must have been a sign from God, because I was a half a pound lighter by the next morning. I couldn’t believe my eyes when I stepped on the scale. Well, that was 30 pounds ago – and amazingly enough, I found on low-carb that I almost doubled my caloric intake, while keeping the same treadmill-walking exercise regime I had always done. 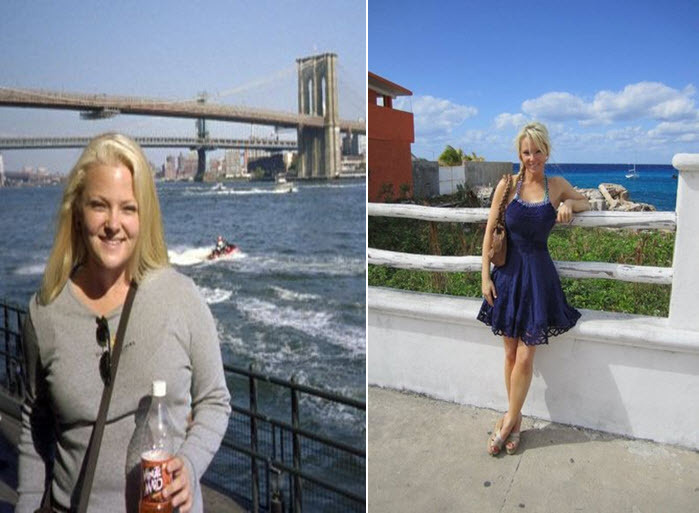 Ultimately it took no more than the elimination of unhealthy starches and sugars to finally get the 30 pounds and 5-6 dress sizes off 5 months later. 30 pounds that inflicted me with stubborn drumstick arms, back fat, inner-thigh rub, those loathsome tummy rolls … and kept me forever in one-piece swimsuits. I love eating this way – and most importantly? My mission in life from 2001 onward became sharing my story about Atkins. 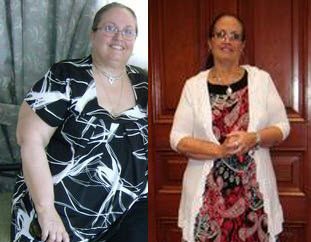 I am showing people that losing weight successfully, safely, and keeping it off permanently can be done without over-exercising or the nuisance and deprivation of calorie and fat-restriction. So, who’s paying for me to talk about my success story? Nobody. Not only that, I have no affiliations, I’m not paid to mention any product, I have no endorsement deals, and am not paid a red cent by any organization or company. This is my way of paying it forward. Every aspect of my message is courtesy of me and me alone. I love hearing from people from all around the world. If anyone needs help, contact me. 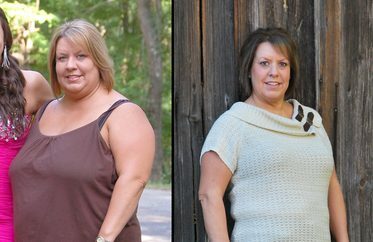 When it comes to weight loss, I am the best at what I do.